Happy Birthday! The IAMAW is 129 years old today! In 1888, nineteen machinists joined together to found the Order of the United Machinists and Mechanical Engineers. This small organization eventually became known as the International Association of Machinists and Aerospace Workers, which today has a membership of about 800,000 in various North American industries. The International Association of Machinists and Aerospace Workers. has had a long and interesting history, which follows the struggles of the labor movement during the twentieth century as well as advances in transportation since the days of the railroad. Thomas Talbot, a machinist in one of Atlanta’s railway yards, gathered 18 of his fellow machinists together in May 1888. 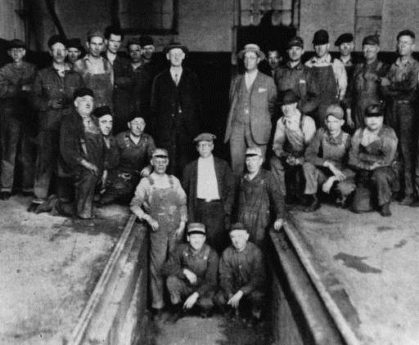 Believing that machinists needed a union to cope with problems particular to their craft, they formed the Order of United Machinists and Mechanical Engineers. The Order remained secret for several years since it was formed during a time when employers were often hostile to organized labor. Despite the Order being secret it spread beyond Georgia, partially thanks to the “boomers.” (Boomers were men who traveled the railway lines for work wherever they went. They would establish locals in these areas if there was not one already present.) Within one year, there were 40 lodges; by 1891, there were 189. Want to learn more about our history and its impact on labor laws, working conditions and even your job today? Click on the links below to dig deeper into the story of YOUR labor union! Sources of Pre-Retirement Information for IAM Members! Young Workers/Women’s/Human Rights Committees Golf Tournament a huge success!